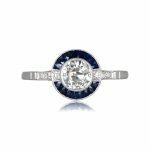 A magnificent 2.00ct diamond engagement ring with sapphire halo, set in a stunning handmade platinum setting with an old mine cushion cut diamond. 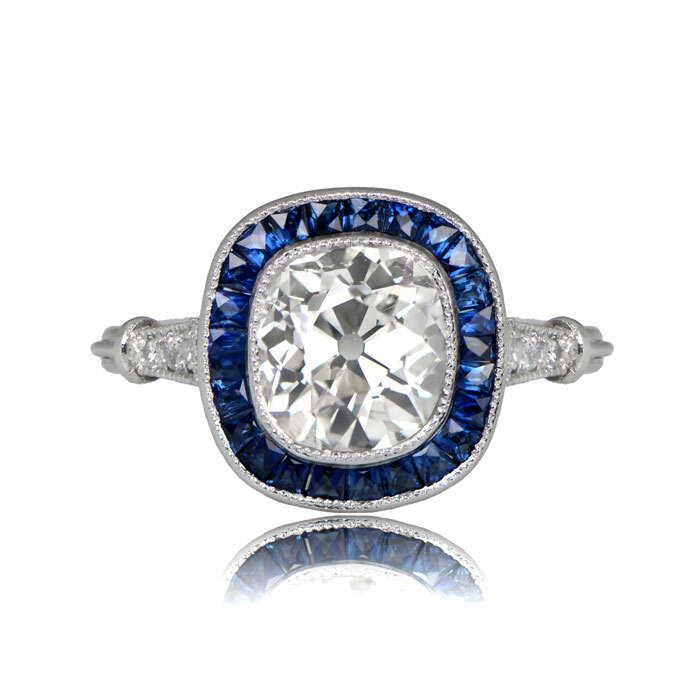 The old mine cushion cut diamond is approx 2.00ct, K color and VS1 clarity. 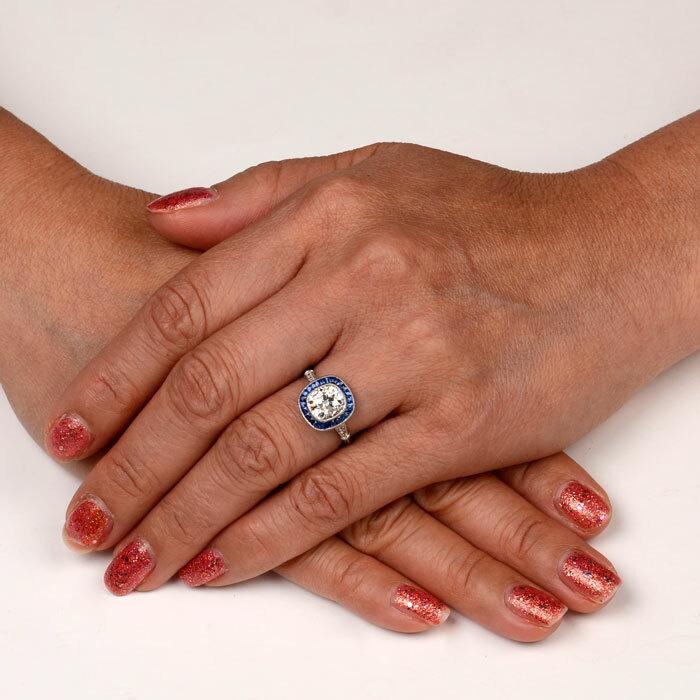 The center diamond is surrounded by a beautiful halo of French cut Ceylon sapphires. 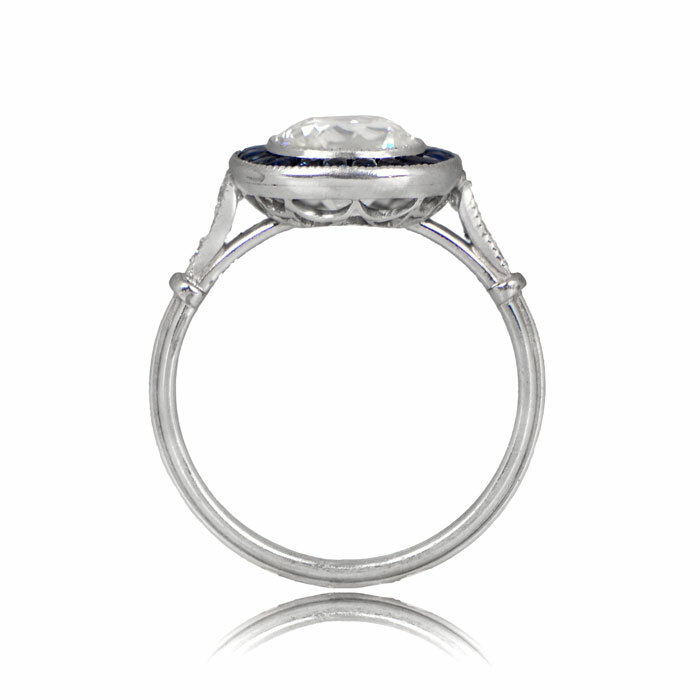 Three smaller diamonds adorn both shoulders of the shank and perfectly compliment the intricate filigree gallery. 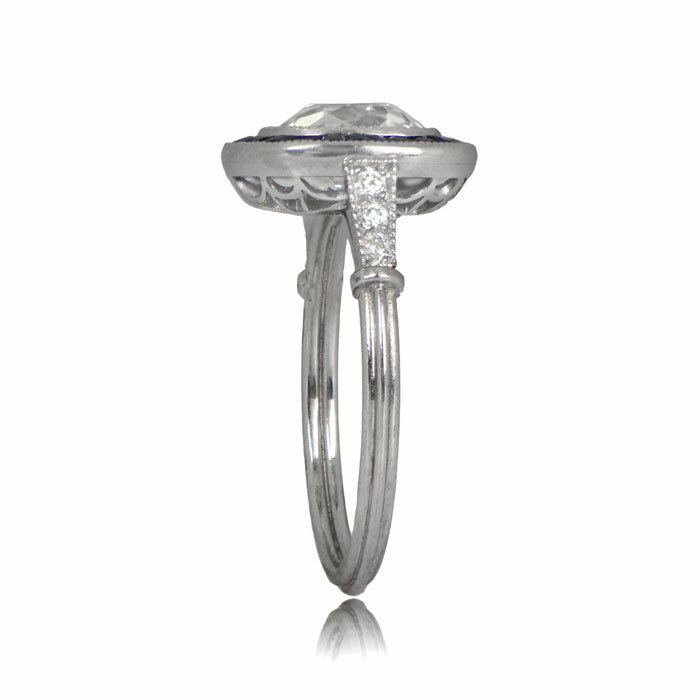 If you have any questions about this stunning ring, please feel free to ask. We will respond within 1 business hour. 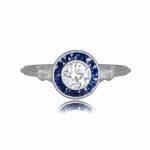 SKU: 11748 Categories: Cushion Cut Engagement Rings, Diamond and Sapphire Engagement Rings, Old European Engagement Rings, Vintage Engagement Rings - Contact us and request additional pictures.